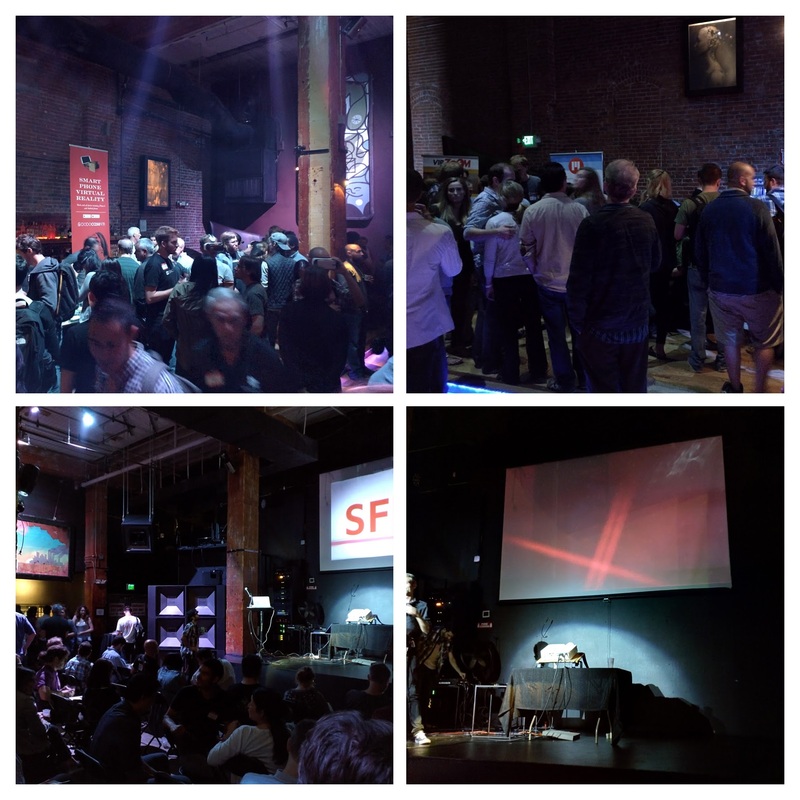 Earlier this week, I headed to SFVR #10. I had attended their previous event, that included a Google Tango hackathon, and had a good enough time to want to come back. This event didn’t disappoint. There were a handful of demos that were pretty interesting. A couple games, some hardware accessories like an exercise bike as VR input. One especially interesting project was a very simple looking demo that showed how a smartphone (or a smartwatch) could be used for very accurate 2d input, using nothing but sound. They use inaudible frequencies, and determine position using the Doppler effect. It’s academic research at the moment, being lead by Lili Qiu. They recently received a grant from the NSF to try to find commercial applications. The project is called “Champion Air Tracker” or CAT, since they intend to eat the mouse.